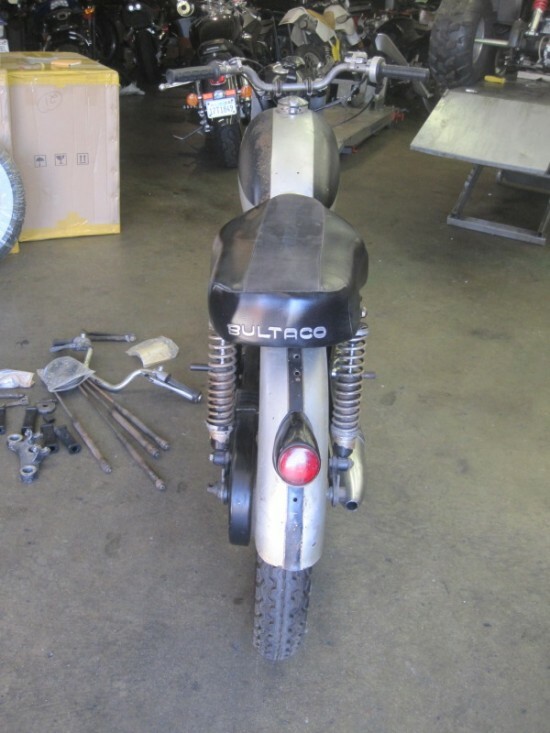 If you have heard the name Bultaco before you would likely have heard it in reference to dirt bikes from the 1970’s. Because the rest of the world thinks that the US is one big off road park, every manufacture in the world developed a 2-stroke dirt bike to sell to riders in America. What we have missed out on are some of the road racing bikes that those same dirt bike manufactures made. 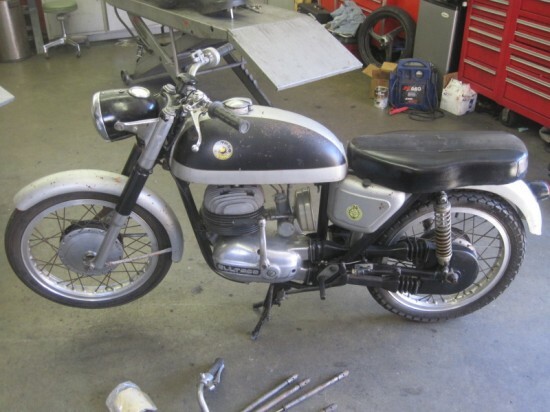 This Bultaco Metralla offered here on eBay is an example of the Spanish two-stroke road bike. In 1958 this Spanish company was started by Senior Bultó after the Montesa motorcycle company withdrew from racing. 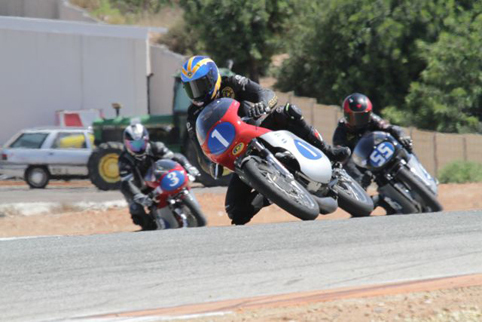 Within months of forming Bultaco, their new Tralla 101 took 7 of the first 10 places of the Spanish Grand Prix, a the tradition for road racing was started, I just wish that tradition made it to the US. This Metrella appears to be a Mk1 from 1968 not 1958 that the seller states. 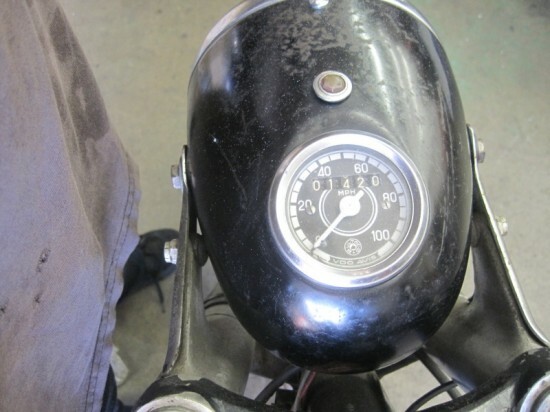 I was only able to find performance specs for the later Mk2, so adjust the 27hp at 7500rpm down a little for the 1968 Mk1 model should still get you a 100mph 250 lbs bike. And with Endurance Championship in 1966 and Production Isle of Man winners for 1967 you can see the potential that the Spanish 2 stoke holds. Esta Bultaco de la fotografía es una Bultaco Metralla Mk2 de 250c.c.Se fabricó desde el año 1966 hasta el año 1974.Es el modelo 23 para España,modelo 23-1 para los Estados Unidos y modelo 7T23 para Australia. La numeración del motor y del bastidor empiezan siempre por “M-23” (motor) y “B-23” (bastidor) y deben coincidir en los restantes numeros…,si no es asi es porque el motor o el bastidor son de de otra unidad. Preciosa moto muy buscada y cotizada en España….hay gente que ha pagado una “fortuna” por conseguirla….Yo poseo una del año 1966. This photograph Bultaco Bultaco Shrapnel is a Mk2 250c.c.Se manufactured since 1966 until 23 1974.Es model for Spain, 23-1 model for the United States and 7T23 model for Australia. The numbering of motor and frame start provided by “M-23 ‘(engine) and’ B-23 ‘(rack) and must match numbers in the other … if not well it is because the engine and the chassis are of another unit. 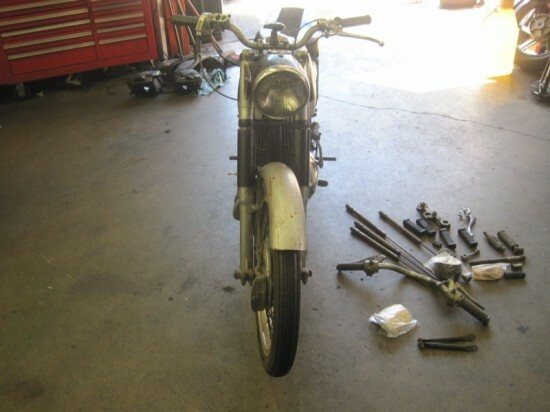 Beautiful bike highly sought after and quoted in Spain …. some people have paid a “fortune” to get it …. I own a 1966.